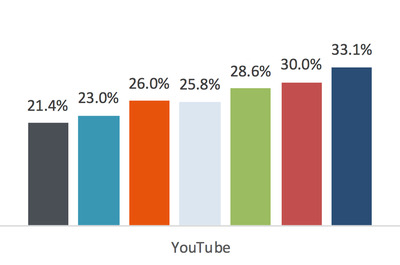 This means that about 70% of teen video consumption isn’t served by the traditional TV ad market. In the firm’s semi-annual “Taking Stock With Teens Survey,” Netflix led the pack with 37.6% of teens’ daily video consumption, a figure which has been relatively stable over the past few years. 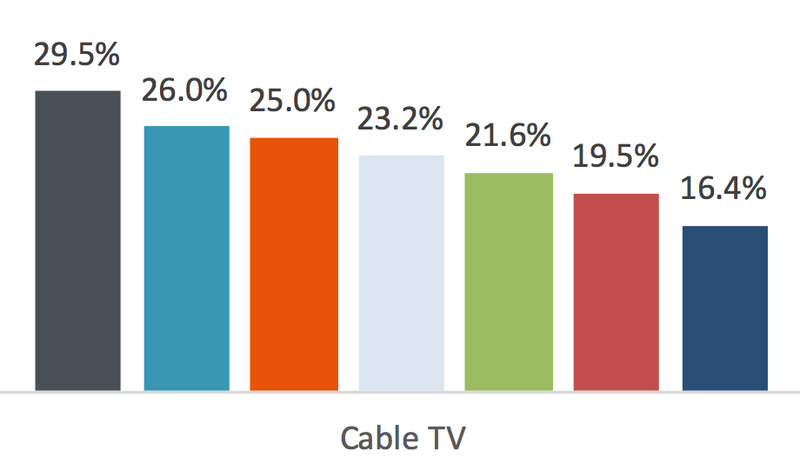 But cable TV continued its decline, falling to 16.4% of time spent – down from 19.5% last survey and from 29.5% in 2015. That means that since 2015, cable’s share of the daily video watching of teens has been nearly cut in half. Though Netflix is the most dominant platform, it’s actually YouTube that has been picking up the drop in cable TV viewership. 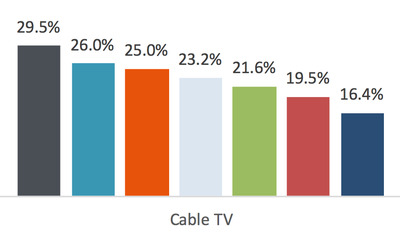 “Cable/Sat was the only platform to lose significant ground, which was taken up by YouTube,” Piper Jaffray wrote. None of the other platforms Piper Jaffray looked at in the survey – Hulu (5%), Amazon Prime (3%), and “other streaming” (5%) – saw much change.